Long equipment life — Special antiwear additive package minimizes wear by protecting surfaces when load causes breakdown of the lubricant film. 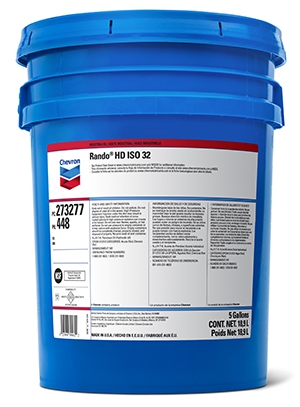 Minimized downtime — Effective rust and oxidation inhibitor system helps prevent the production of abrasive particles from rust formation, and deposits, varnishes and sludges from oil breakdown, which can damage equipment surfaces and seals, and block filters prematurely. Vane-, piston-, or gear-type pumps, especially where pressures exceed 1000 psi. Hydraulic equipment reduction gears where EP is not required.